Environmental education promotes the environment-related values, attitudes, and concepts enabling the individuals to raise environmental consciousness. Moreover, it is also the process of continuous learning that provides knowledge, value, skill, and experience in order to solve the environmental problems for bequeathing a healthy and clean environment to the next generations. The most effective solution for eliminating the environmental problems and struggling with these problems is to raise the individuals having the environmental consciousness. 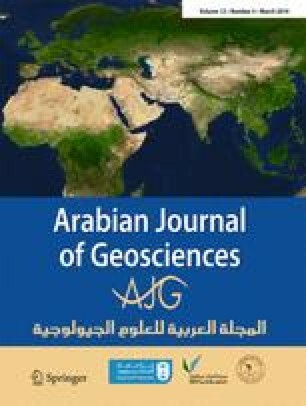 The objective of this study is to measure the environmental consciousness of Erciyes University students by using survey, to evaluate by using decision-making methods, and to map the obtained results based on Geographical Information System (GIS). The survey was conducted with 500 students studying at Erciyes University, the weighting process was performed using analytic hierarchy process (AHP), and the responses given to 41 questions were transformed into a single environmental consciousness conformity value by using weighted linear combination (WLC). Inverse distance weighting (IDW) interpolation method was applied to the obtained conformity values, and the raster map of environmental consciousness was obtained. The study adopts a new approach to mapping and evaluation of environmental consciousness of university students.